You can completely customize the featured slides from the theme theme options page. You can also easily hide the slider from certain part of your site like: categories, tags, archives etc. Congo safaris have been made popular because of the natural habitat of the elusive mountain gorillas in the country found in Virunga National Park. Mountain Gorillas were moved from the critically endangered list to endangered but then the gorillas of Congo have seriously been threatened by political instability. To trek a gorilla in Congo, a traveler needs a Congo gorilla trekking permit as a must. A Congo gorilla trekking permit is a card issued by the Virunga National Park Authority as a pass to trek a gorilla to any tourist above the age of 15 years spending a maximum of 1 hour in the presence of the gentle giants. To trek a gorilla in Congo, non-nationals are required to pay USD 400 per person per trek. Congolese residents pay USD 150 for Congo gorilla trekking permit per person, per trek. USD 200 is paid for a single permit by Southern African Development Community nationals. NOTE: The Congo gorilla trekking safari permit price is the lowest in the world. In the low season, permits can go for up to USD200 for non-nationals. Booking your permit prior is essential and this can best be done through a tour operator in Congo. A tour operator is more familiar with the system and can help with all the necessary bookings. The tour operator also offers all the other necessary information and updates about the park. Always wash your hands before you move out to the gorillas, to reduce risk of any kind of disease spread. Do not make noise within the jungle, try to lower your voices. Asking your guide questions is however allowed. Carry your camera but remember that flash photography is not allowed, so take a recommendable camera for capturing these amazing memories. Maintain a 7m distance away from the gorillas at all the times. The more you keep a distance, further you give them space the more they become free and comfortable with your presence. Always remember to stay in tight groups during the whole trekking process. Don’t smoke, drink or eat in the forest. Eating or drinking increases the risk of food/drink droplets falling, which could intensify the chances of spreading diseases. Sometimes the gorillas can charge and become furious towards visitors. In this case, follow the ranger’s example (crouch down slowly, gorillas are shy, so do not look them directly in the eyes and do not be tempted to run as this may aggravate the situation). Do not try to touch the gorillas, they are still wild animals and should be treated as so. After the trek and meeting the gorillas, keep your voices down until you are 200 meters away from the gorillas even with the excitement. Mountain Gorillas live in 4 national parks and the trekking rules are almost similar, on a Uganda safari or Rwanda safari they are applicable with simple variations. However, on the Uganda gorilla trekking safaris or Rwanda gorilla trekking safaris, you need to be aware of the specific country gorilla trekking permit details like prices and discounts. Positioned at a 90 minutes transfer from the Goma town,the capital of North Kivu province in the eastern Democratic Republic of the Congo, Mikeno Lodge is an up market Lodge that offers top notch accommodation in Virunga National Park. Mikeno Lodge is a top luxury accommodation where you can stay during a Congo safari. Marked by Luxury Bungalows and lush restaurants, Mikeno Lodge is surrounded by the dense equatorial jungle of Democratic Republic of Congo and the Virunga Mountain Chain that is comprised of eight Volcanic Mountains deriving one of the greatest fascinating sceneries seen on a Safari in Congo. Accommodation at Mikeno Lodge is provided in twelve (12) Bungalows each independently set with the forest views. The Bungalows are crafted using local materials including mahogany, lava stone and thatch. Interestingly, the bungalows enjoy private balcony, fire place and en suite bathroom with hot and cold water meeting the expectations of affluent travelers to Congo. The bungalows are configured as single and double rooms with Congo ethnic inspired decor while the main building is very spacious and features a lush dining experience in the comfort of free Wifi and a common fire place that offers a perfect relaxation experience under the stars. This, therefore, puts Mikeno Lodge in an ideal position to handle overnight affluent guests in Congo’s Virunga National Park interested in either Congo Gorilla Trekking safaris or a hike to Mount Nyiragongo, Birding, Nature walks and Chimpanzee Trekking. Being an authentic wilderness, at Mikeno Lodge, the guests enjoy the amazing sights and sounds of birds, Chimpanzees, Blue Monkeys and Baboons. From Mikeno Lodge, you can set out to go for any Kind of tour in Congo after having a great time relaxing at the lodge. 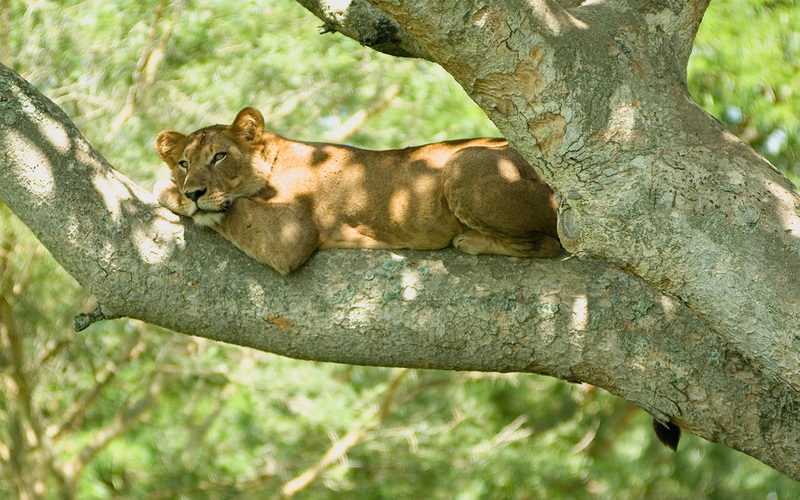 No one does want to travel and have a bad time on safari especially when they need to rest therefore remember to choose the best and have the best out of your safari. The surest way of seeing a gorilla in Congo is by undertaking a Congo gorilla trekking tour and for this to be possible, you need a permit. On the cost of your Congo gorilla permit you will have about 4-6 hours in the jungle with the company of armed park rangers, a mask is provided and gorilla trekking stick to ease movement within the forest. On getting the gorillas, you spend a maximum of 1 hour in the presence of the gorillas and you are allowed to take as many photos as possible with your flash free camera, capture all possible videos and ask all kinds of questions. Your Congo gorilla trekking permit cost is as well a park entrance fee. To many national parks for wildlife experiences, tourists are required to pay a park entrance fee but for a gorilla trekking safari your permit is enough for entry to Virunga National Park and Kahuzi Biega National Park in Congo. This is the same to the other country parks of Bwindi Impenetrable National Park, Mgahinga Gorilla National Park and Volcanoes National Park in Uganda and Rwanda respectively. On the morning of each trek, a total of 8 tourists are accompanied by an armed ranger who leads them to the gorillas and to protect them within the jungle. The rangers are fully hired and paid by the park authorities. Before a group heads for a trek, gorilla trackers go to the jungle as early as 5:00am in search of the gorillas and find out where they spent their previous night. The trackers are also paid by the park authorities. The only money a tourist can offer to either park rangers or trackers can be a tip for the great conservation efforts. Each gorilla trekking park has tourism police who help keep security within the park. For Congo where the country has been politically unstable, the tourism police does work and part of the gorilla trekking cost is used to pay the security personnel. Any kind of tips offered to either guides, rangers, trackers and porters are not part of the gorilla permit cost. Tipping isn’t mandatory but travelers can tip where necessary. Whenever you travel, you may need to purchase something within the country no matter the full payment of all costs with your tour operator. Personal expenses include Visas and air tickets to Congo, extra drinks especially alcoholic drinks, extra activities not within the itinerary, extra eats especially snacks, crafts and any other thing not within the itinerary. 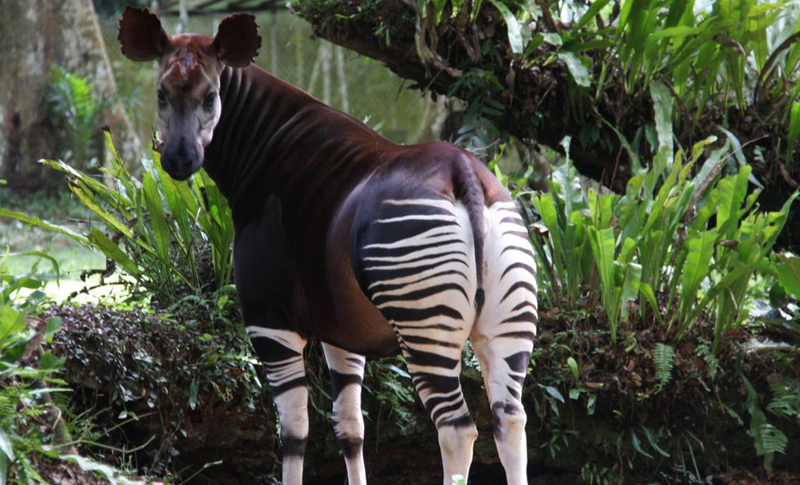 For a Congo tour plan right and ensure to not be off track or need to purchase something extra without some cash. When you get into the country ensure to get the local currency to ease purchase of all items not included within the itinerary. Chimpanzee Habituation or chimp habituation in Congo can be done in Virunga National Park. Chimpanzee habituation and trekking/tracking are a day to day activity in Virunga National Park in search of man’s closest relatives surviving in the Virunga mountain. Chimpanzee trekking is done in the forest near the headquarters of the park in the area called Rumangabo. Chimpanzee trekking is opened after a chimpanzee habituation process which involves a painstakingly slow process of making chimps used to human presence. Chimpanzees are one of the attractions in Virunga National Park also home to the only mountain gorillas in West Africa. Chimpanzee trekking start every day at 6:00am with a maximum of four (4) tourists are allowed to spend a maximum of one (1) hour with the chimpanzees. Early before trekkers get to the forest, trackers go to locate the chimpanzees as early as 5:00am just like it’s done before a Congo gorilla trekking safari. Chimpanzee habituation starts the same way but trackers spend about four (4hours) learning the behavior of the chimpanzees. The Democratic Republic of Congo has highly been affected by political instability in the country, and the chimpanzees have highly been threatened by instability making their protection very vital. If a tourist wants to book a chimpanzee trekking or habituation permit this can be done by a Congo safari tour operator. Around 1987-1989 there was a network of about 80km trails created in the Tongo forest by Frankfurt Zoological Society (FZS) for chimpanzee trekking. At that moment, the process of chimpanzee habituation started and this took two years. By 1989, more than 50 chimpanzees had been habituated for tracking by tourists on Congo safaris. Just not long enough after they thought they had accomplished the process and had become a very important source of Tourism revenue both to the Government and the small community of Tongo. Unfortunately, just after three years there was civil unrest in the area and this put an end to chimpanzee trekking safaris that had started booming. In 2010, the Frankfurt Zoological Society (FZS) together with the local community re-launched the process and the trekking begun by June of that same year though on a small basis. In April 2012, hostilities erupted yet again and chimpanzee trekking had to be halted. The M23 rebellion, as the conflict was known, eventually ended in January 2014. The Tongo team still visits this population of chimpanzees on a daily basis. The group now consists of 32 individuals in three groups/ families. Within Congo, unlike visiting chimpanzees in their natural habitat, you can also visit them at Lwiro Chimpanzee Sanctuary just close to the lowland habitat of Kahuzi-Biega National Park. Bordering the country is Uganda, a lot politically stable and home to the world’s highest population of chimpanzees found in Kibale Forest National Park. Uganda chimpanzee trekking safaris can also continue to Kyambura Gorge (valley of apes) of Queen Elizabeth National Park or to Budongo forest (second best trekking destination) close to the popular Murchison Falls National Park. Watching a so much human like ape leap on tree branches, chunk fruit and socialize creates captivating memories, don’t miss out on a Chimpanzee habituation or trekking experience in Congo. Lowland Gorillas in Congo are the western lowland gorillas, the largest of all the gorilla species. Found in the Democratic Republic of Congo, this central African country is blessed to be the only country with both mountain and lowland gorillas. Mountain Gorillas are found in Virunga National Park whereas the lowland Gorillas are habituated in Kahuzi-Biega National Park. The lowland gorilla is scientifically known as Gorilla gorilla. The lowland gorillas are existent in the countries of Congo, Equatorial Guinea, Angola, Central African Republic, and Cameroon. Western lowland gorillas live in smaller groups of 4 to 8 members. Even with small groups, they still don’t live in single lives. When planning a Congo safari, the top bet is always Virunga National Park because of the mountain gorillas and the proximity to Rwanda and Uganda which have daily international flight. However, Lowland gorilla trekking is a better option for those who can not hike for a higher altitude. Kahuzi Biega National park is on an altitude ranging from 2,790-3,308 meters above sea level lower than Virunga which is on an altitude of 4,507 meters above sea level. Many tourists then wonder whether Lowland Gorillas are dangerous to human beings. All Gorillas are typically, shy and reserved, a reason for the terming as gentle giants. Gorillas are not aggressive or readily set to cause harm to people. Generally, they are calm and only react if threatened or when a person behaves the wrong way they will attack. Behaving the wrong way, means you didn’t follow the Congo gorilla trekking safari rules and therefore made noise, beat your chest or did expose them to flash photography, this will get them cautious of whether you are peaceful or have come to cause harm. Before a specific gorilla family is opened up for Congo gorilla trekking they go through a habituation process which involves carefully exposing them to humans a painstakingly slow process that takes about 3 years. This doesn’t mean they have become domestic animals, they are still wild animals and should be treated as so always. wondering how to behave on a lowland gorilla trekking safari, your Congo gorilla safari ranger guide in the morning of your trek, will take you through the gorilla trekking Do’s and Dont’s and any safety precautions if need be. Even as you head for the trek, you go alongside an armed park ranger. First of all you can tell that a gorilla is feeling threatened when it reacts by making loud grunts and hoots at a distance. If you don’t move away or show “submission” it will escalate its threats by propping itself on its feet and pounding its chest at a very fast rate. By this time if you haven’t submitted yet, it will charge and attack you with scratches, strikes and try to pull you away. This all comes in as defense when the gorilla feels uneasy. A serious attack from a gorilla can only be to poachers and those who intentionally attack them. When a gorilla charges towards you the best response is to crouch down, look away and act casual. They’ll see you as non-threatening and move on. Kabuzi-Biega National Park where lowland Gorillas survive is in a politically unstable part of the country and therefore its advisable to always contact your tour operator on the security of the park before you set out on safari. 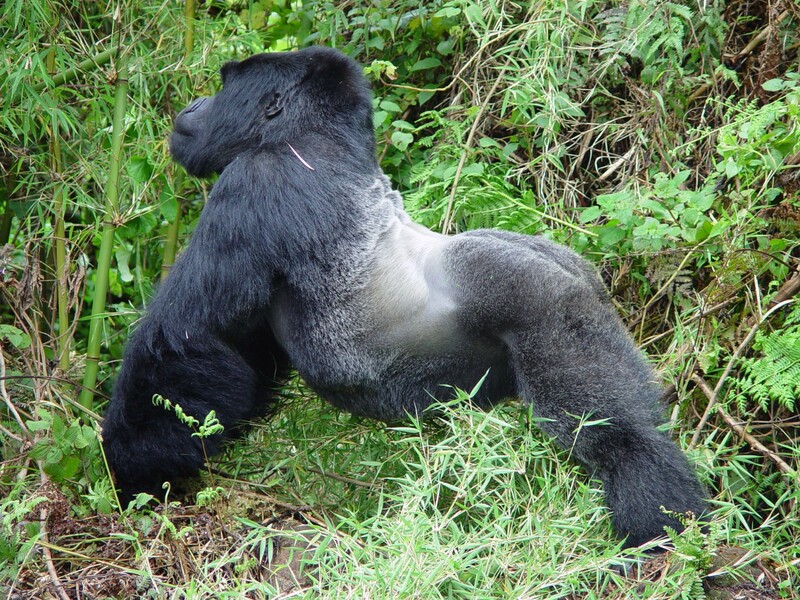 How to react when a gorilla charges towards you is applicable for either a Rwanda gorilla trekking safari, Congo gorilla tour or Uganda gorilla safari , just always remember to follow the gorilla trekking rules. Every living specie would love to be in harmony and grow around a loving and peaceful environment but that’s not just as so. Chimpanzees in Congo face a high threat from poachers as the older ones are killed and sold for bush meat and the babies being sold illegally as pets and for the entertainment industry. Lwiro Chimpanzee Sanctuary or orphanage comes in as the savior to the chimpanzees that survive being exported and can’t live on their own, they find a safe haven here. Lwiro Chimpanzee Sanctuary therefore plays a vital role of taking care of the chimpanzees after rescuing them from illegal poachers. The ultimate goal of all the partners is to release the well-off animals into the wild again. This center is a Pan African Sanctuary Alliance accredited primate sanctuary for primates (chimpanzees and monkeys in particular) playing a crucial role in conserving Kahuzi Biega National Park. Just four kilometers from this lowland gorilla park, this is the only chimpanzee and monkey sanctuary found in the kivu region and with its establishment, the center has devised means to accommodate the vast influx on animals. Lwiro Chimpanzee Sanctuary also supports the local community by giving them some revenue back per month, hiring out some people and by purchasing food for the animals from them. The center plans to achieve its ultimate goal by massive education and public awareness campaigns. Volunteering at the Lwiro Primate Rehabilitation Centre is not for the faint-hearted since the Centre is located in a politically unstable area of the Democratic Republic of Congo. You don’t need animal experience to volunteer at the center, if you speak French the sole requirement is a willingness to handle any job that comes up. By 1987-1989 there was a network of about 80km trails in the Tango forest for chimpanzee trekking. During this period, the process of habituation started and this took two years with approximately 50 chimpanzees habituated and trekked on Congo safaris. 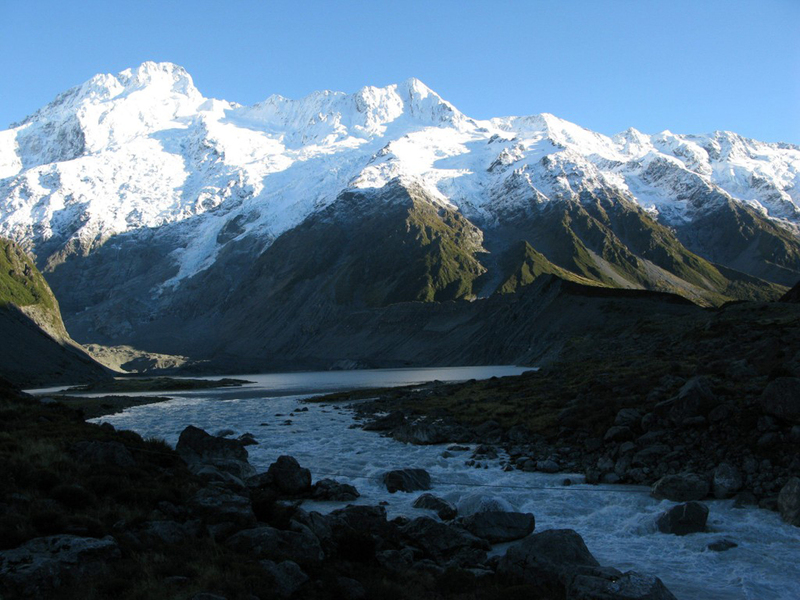 The treks soon began and in the next three years, this was a very important source of Tourism revenue both to the Government and the small community of Tango. Unfortunately, at that time, the civil wars that existed in Congo put an end to chimpanzee trekking safaris that had started booming from 1992-2001. Despite of these prolonged conflicts, Virunga National Park rangers were able to steadfastly protect and monitor the chimpanzees in Tango. When peace eventually returned, the Frankfurt Zoological Society which had a team of 35 people then, all from the local community, was able to restart the habituation process. The chimpanzees were then habituated again and tourists were able to track them like before. Whether it’s marveling at the sight of Mountain or lowland gorillas on a Congo gorilla trekking safari, you can add a visit to Lwiro Chimpanzee Sanctuary as an extra activity. Uganda just proximate to Congo has an island that’s takes care of orphaned chimpanzees though this one is on an island in Lake Victoria-Africa’s largest fresh water lake. Known as Ngamba island Chimpanzee Sanctuary, it one of the best places to have a chimpanzee experience on a Uganda wildlife safari as they enjoy this safe haven. Gorilla trekking is a trending Africa safari activity and when many hear about it, its about Mountain Gorilla trekking though not only the possible trek. In West Africa is a very pristine country blessed to be home to both Mountain and Lowland Gorillas. Congo is the popular park for both mountain and lowland gorilla trekking and the only country with both treks in the whole of planet earth. Kahuzi Biega National Park near Bukavu town in the Eastern Democratic Republic of Congo is a unique Congo gorilla safari destination home to the Eastern Lowland gorillas. The park is within Mount Kahuzi (3308m) and Mount Biega (2790m) from which it derives its name lower than the about 4,507m of Virunga National Park home to the mountain gorillas. Gorilla trekking is an activity that involves a hike through the park to spend one hour in the presence of the gorillas. Congo gorilla trekking safaris are undertaken each single day from 8:00am with a total of 8 trekkers allowed to trek a single gorilla family each day. Lowland gorilla trekking permits cost USD 400 and should be booked prior. Kahuzi Biega National Park is home to about 9 gorilla families though only 5 gorilla families have been habituated for Congo gorilla safaris. Gorilla habituation is the process of making gorillas get used to behaving normally in the presence of the gorillas. Gorilla habituation takes about three years by the park rangers. Eastern lowland gorillas live in small groups/families of about 10 members led by a silver back gorilla (the older male gorilla with silver fur on its back). During the almost 30 minutes briefing on gorilla trekking etiquette in Congo, you are allocated a gorilla family alongside 7 other trekkers and park rangers. The trek spends about 2-4 hours and on meeting the lowland gorillas, you are given 1 hour to have an encounter with the gorillas as you see them feed, play and interact. After the trek, you then return with the rangers to the park headquarters. Mpungwe Gorilla Family has 21 members and is the biggest of all habituated families in Kahuzi Biega National Park. 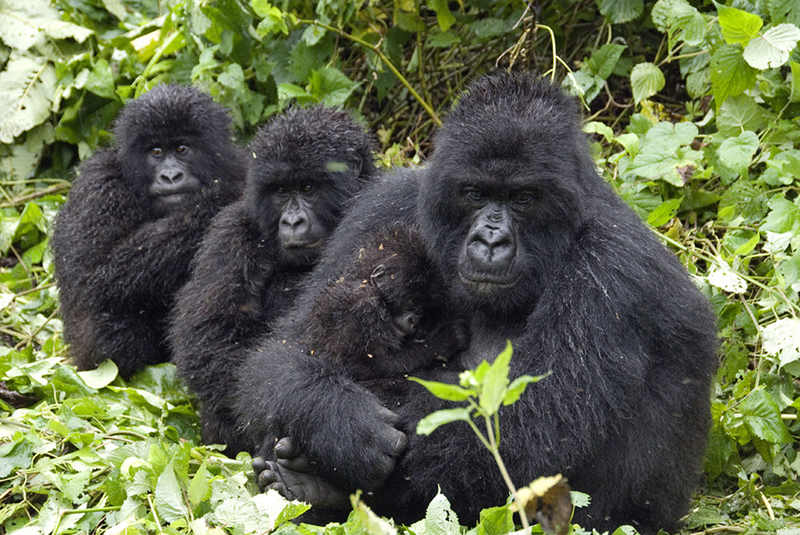 For an interesting gorilla trek, this is the best family to trek on your gorilla safari. 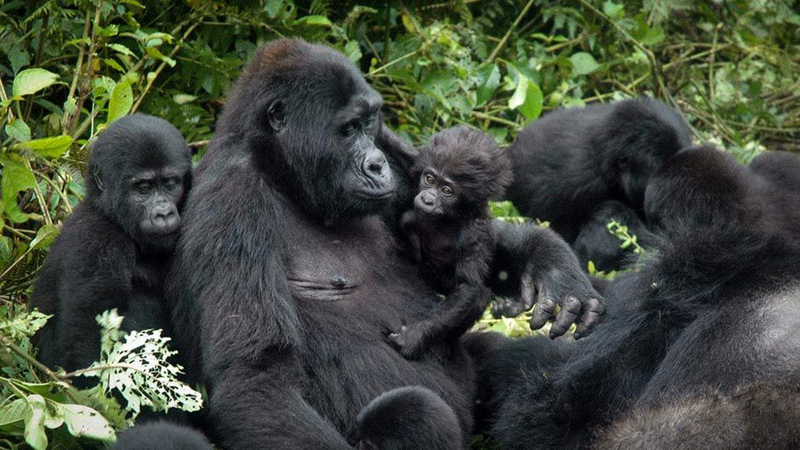 Chimanuka Gorilla Family is the second largest gorilla family in Kahuzi Biega National Park consisting of 19 members. It was named after its dominant silver back. With the big number it’s the most interesting gorilla family to be trekked on your gorilla trekking safari in Congo’s Kahuzi Biega National Park. Bonnani Gorilla Family is one of the newest gorilla family with 5 members and the smallest gorilla family in this park. Mugahuka Gorilla family, isn’t really a family anymore. It is just 1 silver back gorilla named after the dominant silver back. It initially had other family members but had some disputes with the Chimanuka family, that won and took all its females and infants leaving it alone. It is recommendable for old and conversational trekkers. Nganwa is a wild gorilla family that is still under habituation consisting of 10 family members. Lowland gorilla trekking is the perfect option for those who do not like to hike. If you are an adventurous traveler and want to hike on your trek then a Uganda gorilla trekking safari to either Bwindi Impenetrable National Park or Mgahinga Gorilla National Park is an option. A gorilla safari Rwanda to Volcanoes National Park can also be a great trek destination for you. Looking for a suitable gorilla trek without more strenuous hiking, opt for Kahuzi Biega National Park. On any primate trek, you are accompanied by either one or two park rangers who ensure your security in the jungle. They offer all the guidance and help needed during your safari activity and can actually be tipped. Mountain gorilla trackers in Virunga National Park always work tirelessly closely with the gorillas to identify where they spent the previous night such that the rangers can easily get to them with the tourists/trekkers and they always stay behind after your trek. You can decide to tip them as a group if they can be found in a group or individually. If you need help for instance during tracking mountain gorillas, you can always hire a porter to carry luggage and help with the trek. For their great role you can tip them separately after the trek. However, before you tip look at the impact of the tip for instance, in the national park different people take on different roles according to their levels of education and knowledge they have a bout the park. Offering a high tip to a porter would at times make the rangers who do the conservation demoralized. If you can estimate on a fine amount to tip then it could be reasonable. All roles carried out in the park are important and can be appreciated as long as they don’t affect responsibility and renumeration since conservation is all about dedication. For all the great accommodation facilities in Congo, you have good service from the waiters and waitresses, maintenance, chefs and housekeeping staff of whom some you won’t even see. Most of the accommodation facilities have a general tip box and its advisable to drop your tip there such that the whole team can share from it. Check out time is the perfect time to drop your tip in the tip box. For any kind of tour in Congo, your driver guide is key in making the tour successful. You can always tip them separately during the trip for all the efforts they put in to make sure your trip is wonderful. Its best to tip your guide at the end of your safari. 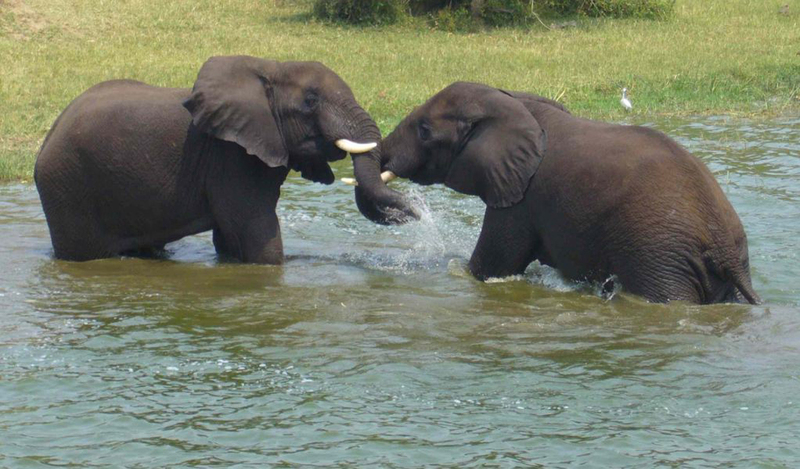 Every individual who plays a role as you safari Congo can be appreciated with a considerable tip. However, tipping hotel managers is not recommendable. Leaving behind a tip for a hotel manager may demoralize the service providers who offer most of the services at the orders of the manager. Tipping is best done by cash that’s why you have to change a few dollars to the Congolese franc (CDF) if you expect to tip anyone. For places with tip boxes it’s the best way to tip and if you would love to offer dollars this can be for the safari guides since they have more frequent access to the Forex bureaus. For whatever reason you decide to offer a tip to someone while on a safari in Congo, it’s all about your own will there’s no order for who to give a tip. On how much you can offer, you can decide from the quality of service offered in comparison to other people you came along or just offer in a bid to give back to the community. However, before you tip, measure the potential impact of the tip to the community. The tips received by the people who help around could create a great positive impact since their earnings increase and therefore their standards of living too. If you have heard about gorilla habituation in Africa then definitely it must have been to Uganda’s Rushaga sector south of Bwindi Impenetrable National Park. Many therefore think gorilla habituation is done only in Uganda, however, Congo Gorilla Habituation is one more of an experience rather than the normal gorilla trekking. Congo being the only destination in the world with both lowland and mountain gorillas the lowland Habitat of Kahuzi-Biega National Park offers the habituation experience. Before a gorilla family is opened up for gorilla trekking by tourists, it undergoes gorilla habituation. Gorilla habituation can literally be referred to as the process of taming or training wild gorillas such that they get used and behave “normally” in the presence of human beings. Gorilla habituation is a painstakingly slow process in which guides approach the gorillas and try to behave like them each day with or without tourists for a full year. After a year, tourists are allowed to go for habituation such that the gorillas get used to white skin and cameras. After about a year and a half of gorilla habituation with tourists they are opened for gorilla trekking. This about 3 years’ time could seem like a long time for a specie to get used to humans but this is incomparable to chimpanzees that can take even 10 years to get fully habituated. The gorilla habituation experience is a four hours activity where tourists go to the jungle alongside rangers, researchers and gorilla doctors who help you learn more about the gorillas since they spend more time learning the behavior of each gorilla. Gorilla Habituation experience starts at 7:30am local time with a briefing from the headquarters then after the four hours are counted from the time you see the gorillas, always remember to utilize your time well. Where is Congo Gorilla Habituation done? Congo is one blessed country on planet earth. It’s the only country that has a natural habitat to both mountain gorillas and lowland gorillas open for Congo gorilla trekking safaris. Mountain gorillas are found in Congo’s Virunga National Park which has been re-opened to tourism in the February of 2019 after it had been closed for about 8 months. Lowland gorillas are found in Kahuzi Biega National Park situated in the Eastern Democratic Republic of Congo. The Congo Gorilla Habituation experience is offered at Kahuzi-Biega National Park with the most visited group for habituation being Chimanuka family. What is the cost for a Congo Gorilla Habituation permit? Gorilla habituation means more time with the gorillas and definitely costlier than the normal trek. Mountain Gorilla Habituation costs USD 500 per person per day. Once payment is made the fee isn’t refundable and tourists below the age of 15 are not allowed to trek. Though Uganda, Rwanda and Congo all have gorillas in their natural habitats, there isn’t gorilla habituation in Rwanda because all the gorilla families there were already habituated therefore you can go for a gorilla trekking safari in Rwanda rather. Mgahinga Gorilla National Park also doesn’t offer the gorilla habituation experience since it has only one gorilla family which is also already habituated and open for Uganda gorilla trekking safari tourists. 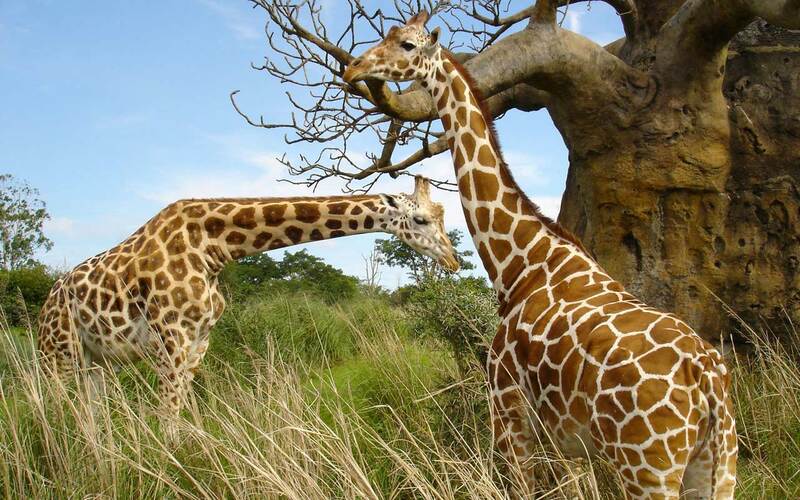 However, this doesn’t stop you from going for a Uganda safari or safari in Rwanda because there is absolutely a great experience while trekking and several other activities within the same destinations. When planning a Congo safari, don’t miss out on the habituation experience it offers more of a wild experience. 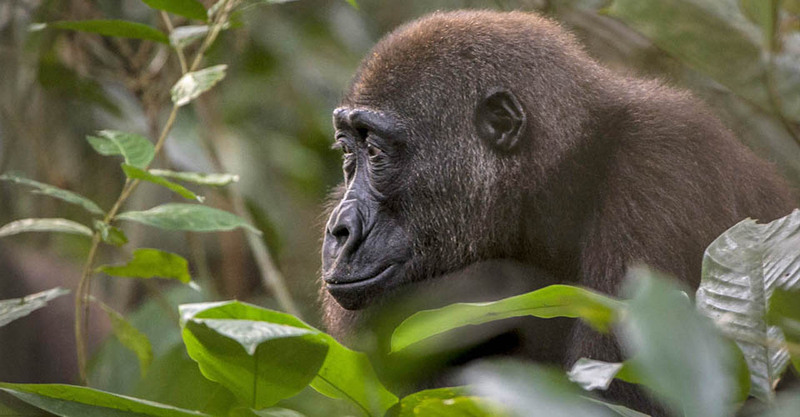 Congo is the only home in West Africa with both mountain and lowland gorillas. Lowland gorillas are found in Kahuzi-Biega National Park in the eastern Democratic Republic of Congo and a favorite place for Congo gorilla trekking safaris for tourists who wouldn’t love to hike. Mountain gorillas in Congo are found within Virunga National Park in Virunga massif adjacent to Uganda’s Mgahinga Gorilla National park and Rwanda’s Volcanoes National Park all host to the gentle giants each park protected by its country. Prior to gorilla trekking in Congo, each tourist must book a gorilla trekking permit that costs about USD400-USD450. 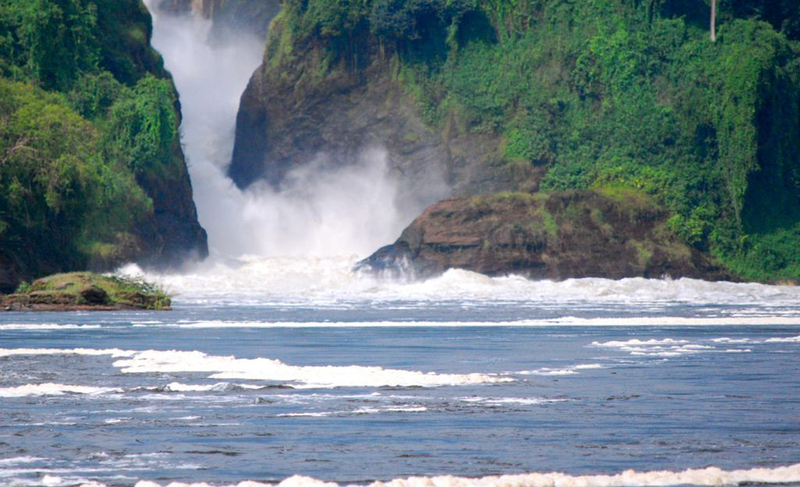 Permit booking is best done by a local tour operator in Congo for all prior bookings. Ensure to have a trekking stick, this is given to you as you head for the trek to help with movements within the jungle. A maximum number of 8 tourists are allowed to trek a single group of habituated gorillas each day. This is mainly to minimize behavioral disturbance to the gorillas and the risk of their exposure to human-borne diseases. When you get close to the gorillas, these simple rules are a must observe for the good of the gorillas and the tourist. Do not try to touch the gorillas, they are still wild animals. The maximum time you can spend with the gorillas is one hour. However, if the gorillas become upset or frightened, the ranger guide may end the trek early. Congo gorilla trekking safaris are the key tourist activities in Congo alongside hiking Mount Nyiragongo. Gorilla trekking is an extremely sensitive activity, and for anyone to indulge in it, they should adhere to the recommended rules and regulations. Gorillas are susceptible to human diseases and therefore protecting them from contracting diseases means conserving them. There many numbers of tourists who trek gorillas each single day and therefore regulating their actions in the forest helps to conserve the gorilla habitat and the gorillas themselves. These gorilla trekking rules are not only in Congo but applicable to Uganda gorilla safari or gorilla trekking safari in Uganda activities and gorilla safari Rwanda tours with a few modifications. If you are scared of hiking to over 2,000m above sea level, then going for a lowland gorilla trek is the surest way of not missing the experience.